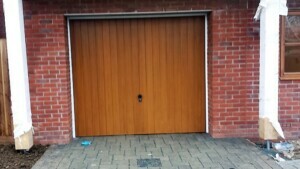 Recently installed on these new homes are GRP (fibre glass) garage doors manufactured by The Corporate Door Company (CDC) here in the UK. 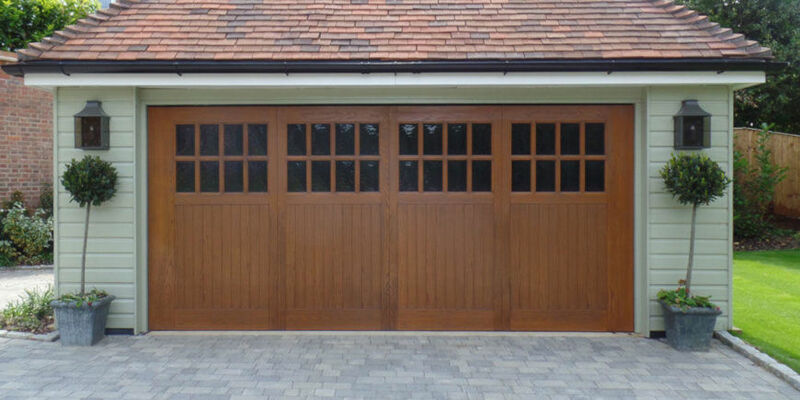 These particular garage doors have been produced in a ‘Honey Beech’ colour in CDC’s ‘Verwood’ design – there are many other woodgrain options available to choose from. 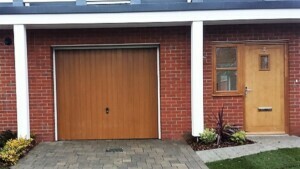 The ‘Verwood’ is a vertical panelled door with 125mm (5″) wide tongue and groove panels and can be made in both single and double tall versions.